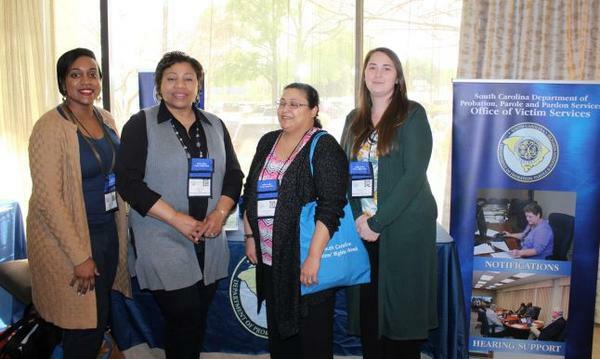 PPP was out in force in April at the annual Victims Rights Week conference going on in Columbia. We had a booth and were presenting at several workshops. Agent Amy Metcalf of Pickens County has been selected Tri-County Agent of the Year for the Law Enforcement Banquet next week. 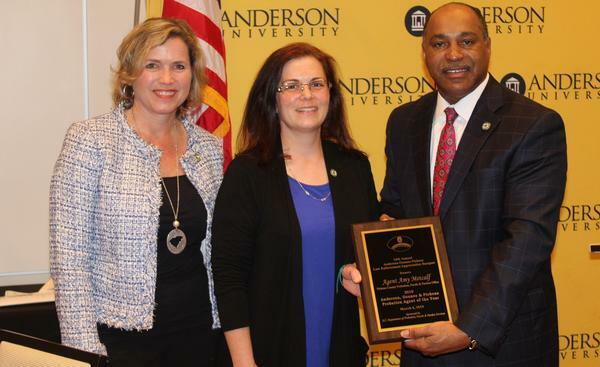 The award was presented at the Law Enforcement Appreciation Banquet at Anderson University. Agent Metcalf has been with South Carolina Department of Probation, Parole and Pardon Services for over thirteen years. Amy began her career as an agent in Anderson County on July 18, 2005, before transferring to Pickens County in 2007. Amy is currently supervising an Interstate Compact caseload. Amy is the liaison with Behavioral Health Services to assist placing people that are court ordered hold in jail for inpatient drug treatment. She serves on the Behavioral Health Advisory Board for Woman’s Intensive Outpatient Program. As Mental Health issues become more prevalent, awareness must be made in the Criminal Justice arena. 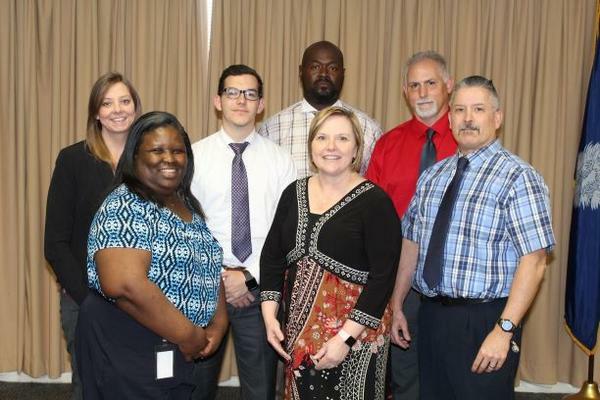 When key officials in the Pickens County Law Enforcement Community, including Sheriff Rick Clark, met to discuss the issues of dealing with offenders as well as inmates with Mental illnesses, the Pickens County Office took a major lead. Amy has taken a major role in piloting Mental Health assessments in the Pickens County Office. Amy strives to ensure that the individuals she supervises receive the most appropriate referral source that would benefit their individual needs. Amy is always willing to assist when called upon, regardless of what she is doing at the time. She mentors new members of the team in guiding them in everyday activities. Amy is very organized and detailed in the way she manages her caseload. She utilizes these skills to meet crucial deadlines. Amy is married to former Probation and Parole Agent Scott Metcalf and they have two children, Matteja and Bellamy. 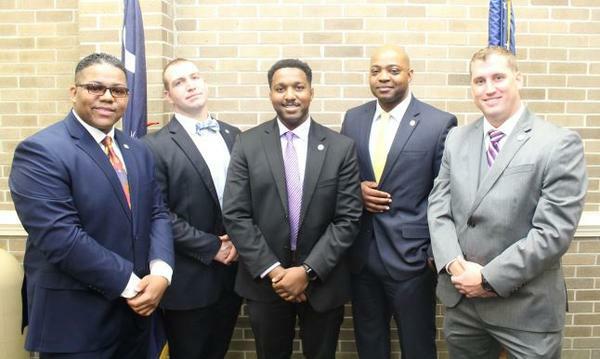 Criminal Justice Class 693's new Agents are (left to right) : Sterlin Hill, Anderson County; Dane Higgins, Spartanburg; Jimmie Davis, Spartanburg; Eric Gantt, Charleston; Corey Padgett, Greenville.